OnePlus was one of the first companies to roll out a stable Android Pie update for a non-Pixel device back in September (yes, even before Nokias started getting the fresh goodie packs), but last year’s OnePlus 5 and 5T are still stuck with their Oreo builds. Probably not for long, though, as the first international Open Beta software based on Android 9.0 is now available for both the OnePlus 5T and OnePlus 5. It’s always hard to predict how much time will be needed to iron out last-minute kinks and start delivering official, wide-scale updates for the masses, but if you want to help speed up the process, you know what to do. If you own a 5T or OP5 and have already flashed an Open Beta build, you should receive this latest update momentarily over-the-air without having to do much. If instead you wish to migrate from the stable channel to the beta path, you’ll want to keep in mind Official Stable OTAs will stop once you follow these flashing instructions. As always, any and all feedback will be appreciated, as OnePlus will try to fix bugs and improve the general system stability as soon as possible. Reporting a glitch is easier than ever, by the way, for public beta testers, as the Feedback tool is now neatly integrated into your Community app. 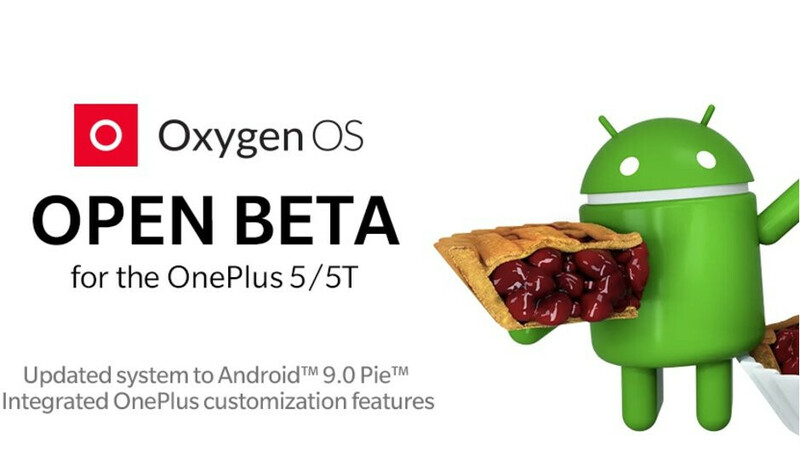 The Android Pie-based OxygenOS Open Beta 22 and Open Beta 20 updates for the OnePlus 5 and OnePlus 5T respectively bring a huge number of improvements to the table, starting with a “brand new” user interface and “brand new” navigation gestures (only for the 5T). There’s a new Do Not Disturb mode in the pipeline with adjustable settings, various “optimizations for background app process handling”, a few bug fixes and specific enhancements for the Communication and Weather apps, and last but not least, November security patches. Bottom line, there’s quite a lot to be excited about.